International Dog Show Chisinau, Moldova (judge - Liudmila Lavrova, Moldova). National dog show, Turkey (judge – Umit Ozkanal, Turkey). National dog show, San Marino (kohtunik – Cem Sutunc, Turkey). International Dog Show Chisinau, Moldova (judge – Boris Aleksandrov, Ukraine). National dog show, Turkey (judge – Ozan Belkis, Turkey). National dog show, San Marino (judge – Rita Kadike-Skadina, Läti). 18.08.12 International Dog Show "BalticWinner 2012" Tallinn, Estonia (judge - Andriana Griffa, Italy). Polyaris Vincitore iz SA - exl, CACIB, BOO, Baltic Winner 2012. 05.08.12 International Dog Show "Druskininkai Cup 2012" Druskininkai, Lithuania (judge - Maite Lorenzo Gonzablo, Spain). Polyaris Vincitore iz SA - exl, res.CACIB. 09.04. - 10.04.11 National Dog Show Rakvere, Estonia. 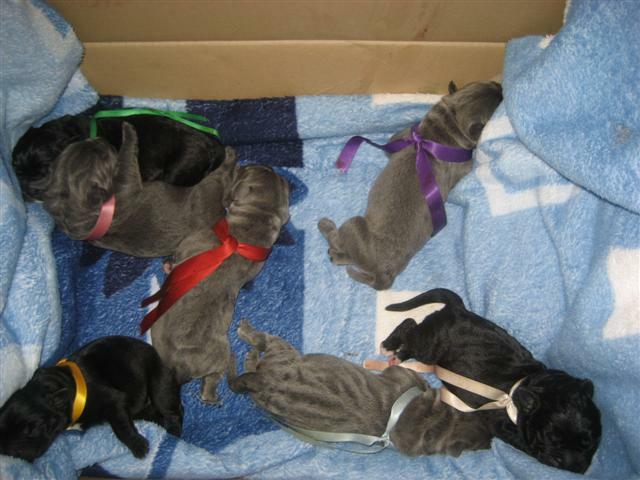 09.04. judge - Marja Talvitie, Finland - Polyaris Vincitore iz Sozvezdiya Adomasa - exl., JCAC, BJ, BOB. 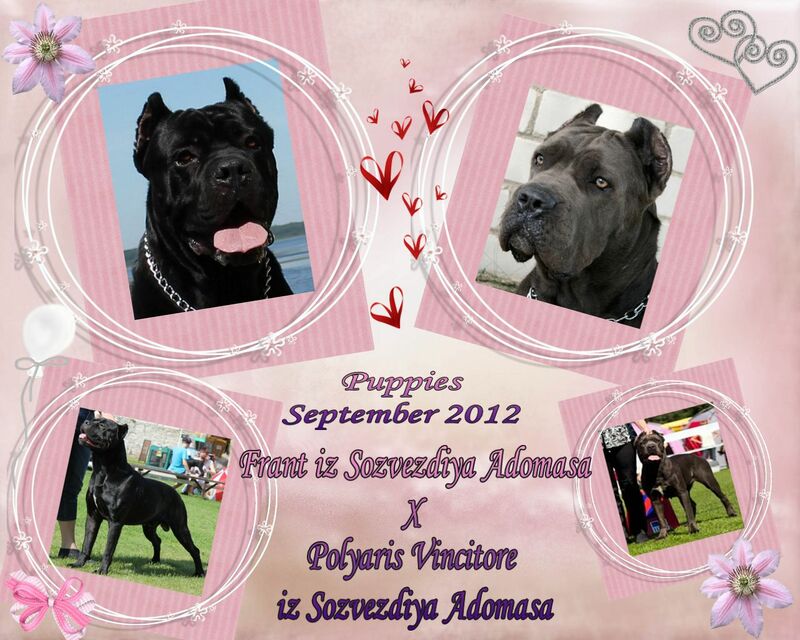 10.04. judge - Kresten Scheel, Denmark - Polyaris Vincitore iz Sozvezdiya Adomasa - exl., JCAC, BJ, BOB. Polyaris Vincitore iz Sozvezdiya Adomasa - JCH. EST, LV, LT, BALT, RUS. Congratiluation!!!! 10.03.2011 Divais iz Sozvezdiya Adomasa - INTERCHAMPION!!! 28.08.10 International Dog Show "Pskovskii Suveniir 2010" Pskov, Russia (judge - Torbjorn Skaar, Sweden). Polyaris Vincitore iz SA - exl, JCAC, Divais iz SA - exl., CACIB, BOS. 24.04.10 National show Chernigov, Ukraine (judge - Oleinikova Zoya, Ukraine). Polyaris Vincitore iz SA - very promising, 2/3, Blonde - exl.,R.CAC, Divais iz SA - exl., CAC, BOB, Ukraine Champion.